Dimensions: 3-3/8 x 2-7/8 in. Tri-fold case with snap closure, full-color, 105 cards, 100+ stickers, for ages 6 and up. Busy parents will love this quick and easy way to add a personal touch to their child's lunch. 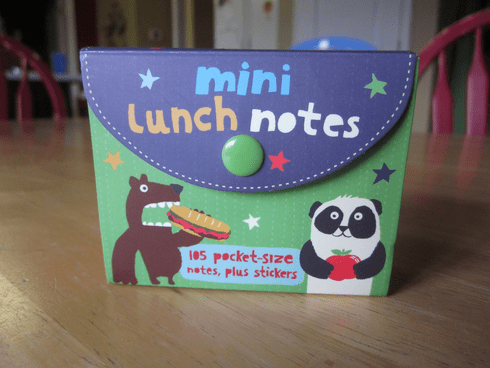 Includes 105 colorful cards for jotting notes and more than 100 silly stickers for brightening up lunch sacks and sandwich baggies. Lunchtime has never been such fun!